There is a milestone in the evolution of every sentient race, a Tech Singularity Event, when the species achieves transcendence through its technological advances. Now the creatures known as humans are near this momentous turning point. But an armed threat is approaching from deepest space, determined to prevent humankind from crossing over that boundary - by total annihilation if necessary. Admiral Trevor "Sandy" Gray of the USNA star carrier America has his own mission. 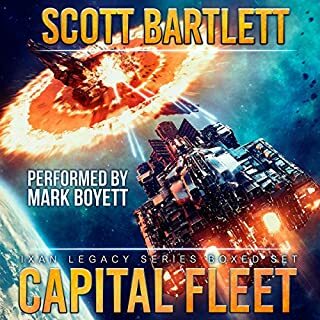 The enigmatic AI known as Konstantin has convinced him that humanity's only chance for survival is technology found in a distant star system. Now, Gray must disobey orders as well as locate and create a weapon capable of defeating a living sphere the size of a small planet. If you could sum up Dark Mind in three words, what would they be? 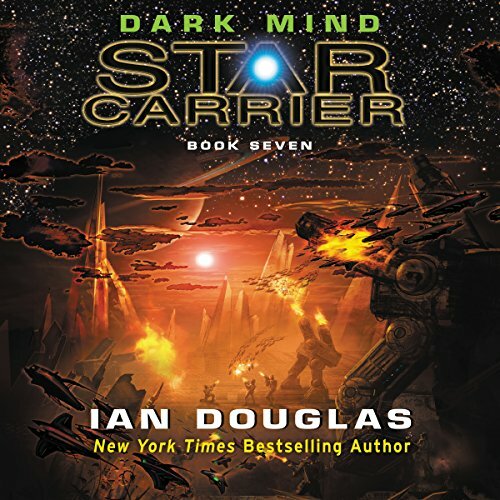 It is a great continuation of the Star Carrier Series. Great plot, great characters. Left me wanting to hear the next one! Nick Sullivan always does a great job, very easy to listen to. A great story teller. 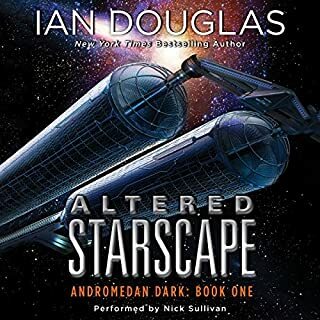 I have read and listened to all of Ian Douglas' books. I cannot put them down once I have started one. Just really great stories. Looking forward to the next book ! If you're looking forward to the next book in this series then your like me and can't wait . Another Homer by Ian Douglas! A great blend of science fact with science fiction. Narrator kept pronouncing reaper as ripper, as in the Grim Reapers, Marine fighter squadron, which figured in every third chapter. After book 6 (which was good but a bit slow and dry) this one took off and answered a LOT of questions. However about 80% through it takes a hard left turn and the ending while unexpected is not what I would call good. Both in terms of how characters end up and what actually happened at the end. Big build up with a small pop. Was good, but slower and talked alot about the "white covenant" and the weird religious stuff. The action and tech talk was awesome as usual when it was there. Although I can always use more. Ending was awesome and can't wait for the next one!? keep up the good work:) I'm a fan of sci-fi and there is so little good stuff out there. I'm under the belief that you can't have an enthralling story every time because life just isn't that way. I enjoyed the story and I believe it fit well with the rest, I just didn't capture and hold as well as the others. 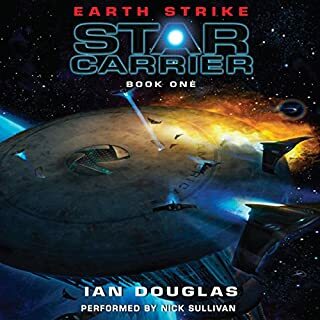 This book was almost like listening to an astronomy and physics course with very little action for a STAR CARRIER series. As someone else mentioned, I agree that this is the weakest book in the series. I truly hope that the next book is more engaging. Seemed to fall a bit short. 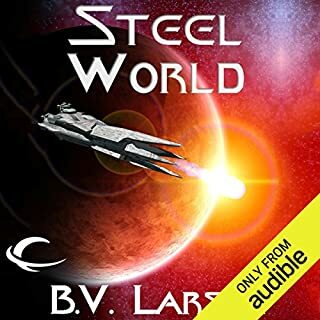 I have read the whole series, and this one just seem to be one of the weaker books in the series and wasn't as interesting to read. I hope the next installment is much better. 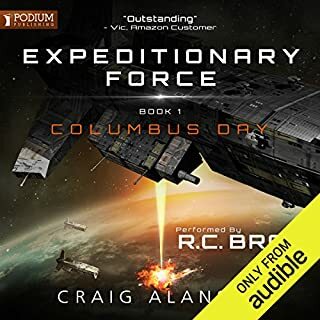 This has been one of the best series of science fiction stories I've listened to for a long time. and it could go on to another series too and complimented by being. well narrated . Neatly wrapping up one story ark and opening the the next ark for the next stage in Greys career I can't wait for the next book. Real hands on sci fi. 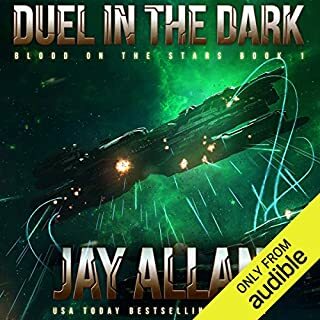 Would you consider the audio edition of Dark Mind to be better than the print version? Yes Sullivan is great and in my narrator top ten. Great writing to. The whole story arch and attention to detail is a great sci fi concept realized. He does the voices with excellence. The light of humanity shines through the darkness of space. Keep writing and I will keep reading and enjoying your work.